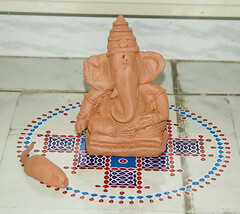 This year, there was an extra member added to Ganesha’s family, his friendly rat! Next year, we should think of changing the colour of the clay we use. We might get a cool looking Ganesha then! a soft drink from cow-urine – little hard to swallow! Vidya you did it again, This time you proved repetition makes perfect. 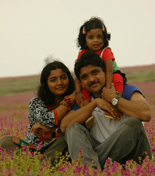 Send Free Online Invitation and e-Greeting Cards to your friends & loved ones. ALL cards are absolutely FREE !! !